Look, Ma: No cell phone! 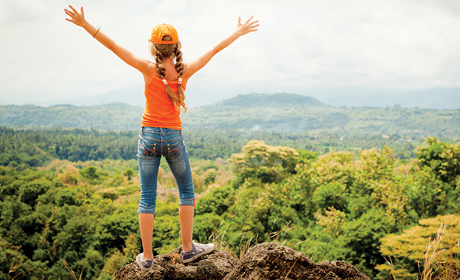 Freedom and adventures await your child — make her summer plans NOW. Camps remain one of the only places where kids can truly unplug — 74 percent of camps don’t allow campers to use any personal electronic devices at any time. Eighty-five percent of camps indicate that campers are able to communicate with their parents via hand-written letters or postcards. Fifty percent of camps report that demonstrating youth outcomes of the camp experience is more important today than it was three years ago. Twelve percent of camps added opportunities for children with chronic illness or medical conditions, and another 12 percent added opportunities for those from military/deployed families. Do you want a traditional camp offering a variety of experiences or a specialized camp focusing on only one area of interest? What size enrollment will my child feel most comfortable in? How structured a schedule will best suit my child? How can I stay in touch with my camper? Are phone calls, mail and e-mail allowed? What session length will work best for my child? Other things to consider include the camper-to-counselor ratio. 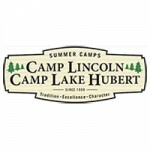 Depending on the age and ability of the campers, the median range is one staff member to every seven to eight campers. Price is also something to consider. Overnight camp fees vary widely depending on the length of stay, ratio of campers to staff and the variety of activities available. When making your initial inquiries, be sure to find out what’s included in the basic fee and what other costs will be incurred along the way. Is there a deposit? Is there a camp store? Are the campers required to wear uniforms, and if so, what’s the cost? If the bottom line is beyond your family’s means, be sure to inquire about financial assistance, which some camps offer to families who cannot afford to pay the full tuition. Finally, once you’ve zeroed in on a few camps that you really like, it’s time to set up visits to get an up-close-and-personal look at the facility and a chance to meet the director. Find out about the director’s background. Learn what kind of training the counselors receive. What percentage of counselors return each year? How are disciplinary issues handled? How does the camp handle homesickness? Also, make sure to get some references. Talking to others who have first-hand experience is the best way to learn the true colors of various camps. For residential camps, the push is on NOW to fill up openings. And because many children opt to return to their beloved camps and their summer friends each year, it’s important not to wait until the opportunity is lost. Many directors advise starting your search for a residential camp the summer before the intended summer away. That way, you’re not rushed to make a decision, and there’s plenty of time to look at the myriad of camps available in order to find the right fit for your child. Practicing separations, like sleepovers at a friend’s house, can simulate the camp environment. Involve your child in the process of choosing a camp. The more your child owns the decision, the more comfortable he will feel being away. Discuss what camp will be like before your child leaves. Try role-playing anticipated situations. Pack a personal item from home, like a favorite stuffed animal. If a “rescue call” comes from your child, offer calm reassurance and put the time frame into perspective. Avoid the temptation to bring him home early. Talk candidly with the camp director about his perspective on your child’s adjustment. Trust your instincts. While most instances of homesickness pass in a day or two, there is a small percentage of cases that are severe. If your child is not eating or sleeping because of anxiety or depression, it’s time to go home. But don’t make your child feel like a failure if his stay at camp is cut short. Focus on the positive and try again next year. Your kids will come home from their summer camp experience with loads of fun stories to share — activities they experienced, games they played and most importantly, the friendships they create. More often than not, friendships formed at summer camp have a lifelong impact on children. According to the ACA, having special camp friends is not only fun and eye opening for campers, but it’s also critical to their well-being. “A persona’s happiness is best predicted by the breadth and depth of their social connections — their ties to other people. Camp gives kids a wonderfully rich opportunity to extend both the breadth and depth of their relationships,” says Psychologist Christine Carter, author of Raising Happiness: 10 Simple Steps for More Joyful Kids and Happier Parents (Ballatine Books, 2011). ACA research supports the idea that campers extend their connections at camp. Ninety-six percent of campers say, “Camp helped me make new friends,” and 94 percent say, “Camp helped me get to know other campers who were different from me.” Quality camp providers create an arena for intentionally increasing friendship skills in their campers by ensuring staff manage group dynamics, form unique relationships with each camper and encourage a positive environment. The camp experience enables kids to be who they truly are, contributing to the authenticity of their relationships. When campers share that experience with other kids in their community, it’s no wonder camp friendships often have such a lasting and meaningful place in campers’ hearts. Looking for a summer camp? Check out our camp directories!